From “Carpenter Ants” to “Odorous House Ants” and “Pavement Ants”, there are more than 12,000 species of ants all over the world. Although it is true that ants assist in the disintegration and decomposition of organic matters found in nature, aerate the soil with their web of galleries and tunnels, and feed on the eggs of other insects, the presence of ants in your home can be a seasonal or a year-long problem that can be difficult to manage. While some ants prefer to reside outside of your home and choose to forage for food inside just to return to their outdoor colony, other invasive ants might take residence in your home. As commensal pests that prefer to reside next to human beings and feed on the same food as we do, once infested, ants could be extremely difficult to cope with. From harmful pesticides to family-friendly Borax Ant Killer and much less effective homemade remedies, there are ways to permanently clear your house from ant infestations. What is Borax Ant Killer? 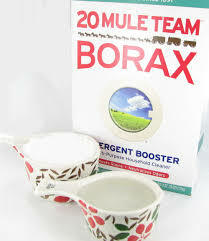 Borax is salt from boric acid which has a lethal effect on the digestive systems of ants. Utilizing salt from boric acid to terminate ants has been used as a highly effective, traditional tactic. Boric acid is usually found in household products such as dishwashing liquids, detergents and sometimes even in personal and pet care creams. How Does the Borax Ant Killer Work? Termination of the queen of the colony is the only way to effectively and completely terminate an ant infestation, since it would discontinue further reproduction in the colony. And the only way to reach the queen, who does not venture into the external world from the colony, is through the scouts and the workers who forage outside for food and bring it back to the queen. By consuming the poisoned food, the queen would cease to live, thus discontinuing the ant activity. How to Use Borax Ant Killer? Although sprinkling Borax around the premises of your home can prevent ants from entering your home, it would not be considered as an effective method of terminating ants already residing in your home. Setting up homemade ant traps can be extremely effective. Start by gathering a few small plastic containers, lids or even paper plates. Prepare the mixture in another container. The suggested recipe for homemade Borax ant killer is three parts of sugar to one part of Borax. Mix the sugar and the Borax until the lumps are crushed. Add a sufficient amount of water to achieve a thick, pasty consistency. Add a ¼ cup of syrup to further thicken the liquid which will irrefutably attract ants to the trap. Once the liquid is prepared, drill some holes in the containers with any sharp object, for the ants to enter the trap and leave for the colony with the poison. Ensure you do not drill the holes too close to the bottom, since the liquid might drip out the holes. There are a few homemade remedies to reduce or manage an ant infestation. Once you have located the ant hill, pouring boiling water into the ant hill will kill the ants inside. You can place garlic cloves, cinnamon sticks on the ant trails and sprinkle white vinegar or apple cider vinegar, coffee grounds, cayenne pepper, baby powder or chalk in the areas where the presence of ants were known. Leaving citrus peels or cucumber peels will also be effective to interrupt the pheromone trails the scouting ants leave behind to trace themselves back to the food source. Place other plants with strong scents which are known to repel insects such as, basil, peppermint, rosemary, black pepper, and eucalyptus. In addition to the above tactics, you could also try keeping a clean kitchen and other areas where food is consumed to minimize the attraction of ants in the house. These natural tactics might not be as effective as you expect them to be if you want to completely clear your house from an ant infestation. Only if the extension of infestation is mild will these tactics be effective enough to control the infestation. If you have decided to utilize chemical pesticides, think twice before you expose your family members and your immediate atmosphere to hazardous pesticides. 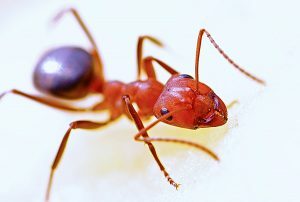 Utilize the inexpensive, effective, and safe Borax Ant Killer to successfully discontinue an infestation in your living space.